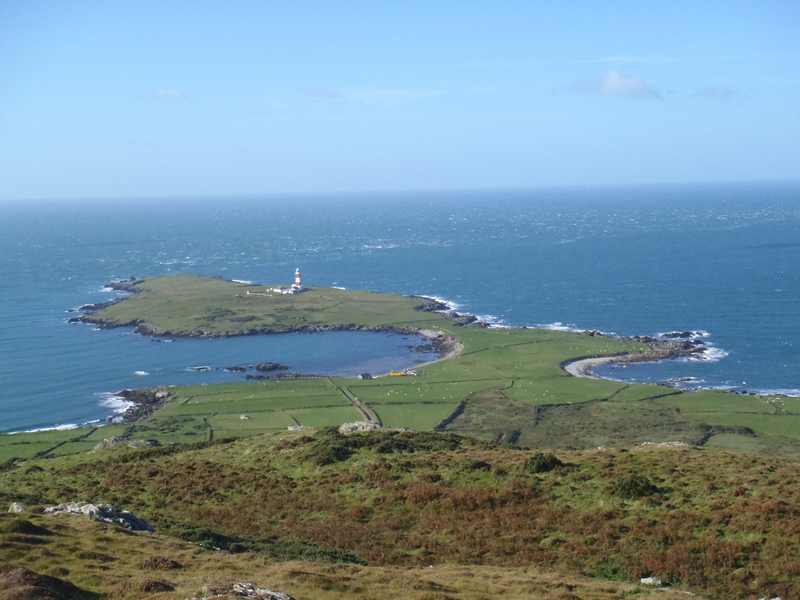 The small, rugged, wind swept island of Bardsey lies off the Llyn Peninsula in north west Wales. To the north east the island rises steeply from the waves that crash onto the blackened rocks to a scraggy peak 167 m high. The mountain is covered in browns, dark greens and grey of rock, bracken and gorse. Small patches of pink heather and the last remnants of thrift cling on, buffeted by the ever present breeze. 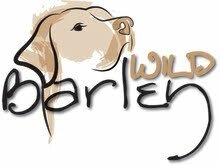 Nestled along the western side of the mountain are the 19th century cottages and farmhouse, their grey stone or white walls overlooking lush grassy fields of the lowlands, where black cows and brilliant white sheep graze. To the south the coast narrows, like a belt tightened around a small waist, so that the rocky beaches either side almost meet, before blooming again into a rounded peninsula where the red and white striped lighthouse stands proud. 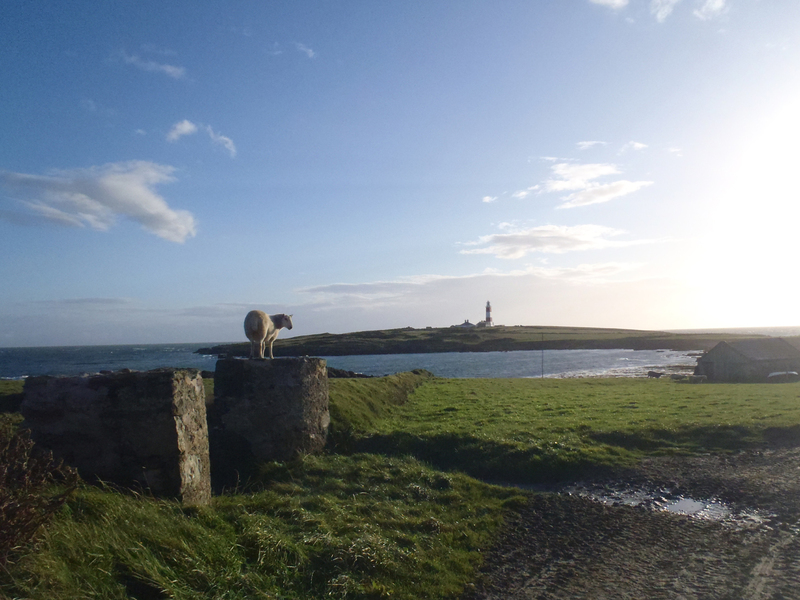 The island is renowned for its wildlife, and is a National Nature Reserve and Site of Special Scientific Interest. During the summer days the skies are filled with the cries of nesting seabirds, crammed on the east side of the mountain. Whilst during the summer nights, eerie, spooky calls of nesting manx sheatwaters take over the show. During autumn and spring the island is ideally located on one of the main migration routes, producing not only hundreds of the more common migrant species but also the odd rarity. The sea around the island, with its racing tides provides an important habitat for whales and dolphins, particularly the Risso’s dolphin. 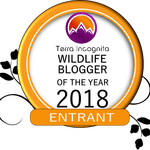 Such is the regularity with which this species is seen, especially during August and September that the Whale and Dolphin Conservation Society has been conducting research on the habitat use of the dolphins around the island since 1999. Our week on this beautiful wild haven started with brilliant blue skies, warm September sunshine and flat calm seas. Wandering around the island we soaked up the laid back pace of island life, meadow pipits and flocks of linnet tumbled over head, turnstone noisily chattered amongst the rocks of the shoreline and the sky filled with the cheeky calls of sleek, black, bright legged choughs. Along the shoreline mother grey seals prowl the surf, or bask in the sun keeping a sharp eye on their newborns tucked away among the rocks. 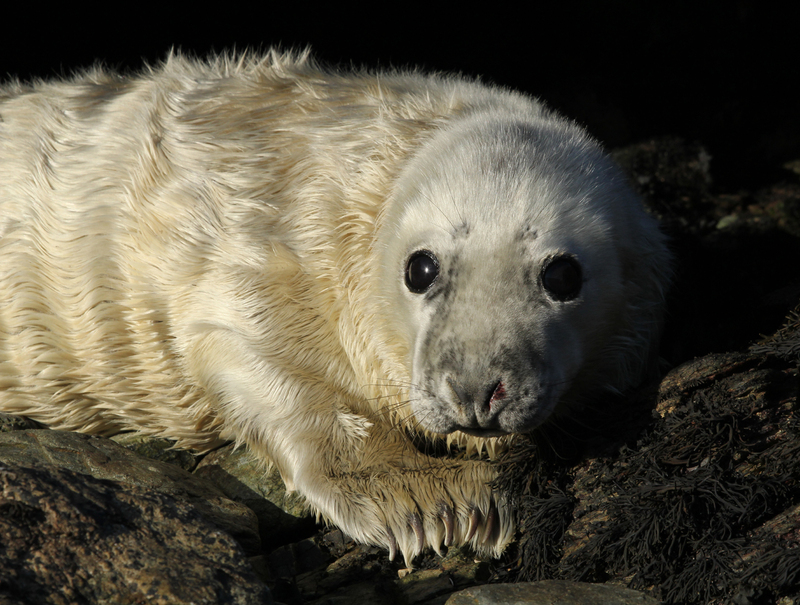 The younger ones are white and fluffy, while the older pups have shed their baby fur and are now a silvery grey. Out to sea, in the distance a shadow breaks the surface. A pod of common dolphins, shimmering as they chase fish, leaping clear of the glittering blue. Sunday and the wind had returned, bringing cloudy skies and creating white caps out to sea. The afternoon was spent down on the shelly beach where dark brown seaweeds mark the edge of the tide. Here a small walk in trap catches rock and meadow pipits, along with the odd white wagtail. Affectionately known as rockits the rock pipits are colour ringed on the island with the aim of establishing where they go in the winter months. That evening it started to rain, and did not stop for 48 hours. Undeterred we trooped out, sploshing through the puddles to settle into ancient looking stone hides and staring out to sea. Through the rain, the sea looked a pale aquamarine. Gannets, kittiwakes and hundreds of razorbills skim over the waves, and there through the narrowed circle of a telescope eye piece, a small pod of Risso’s dolphin. Their tall dorsal fins rise slowly from the gentle waves, followed briefly by a heavily scarred back. Wednesday dawned with the clouds being pushed and pulled through a pale blue sky. Rain still threatened but never really returned with any gusto. Although still slightly breezy, mist nets were opened in more sheltered areas of the island. 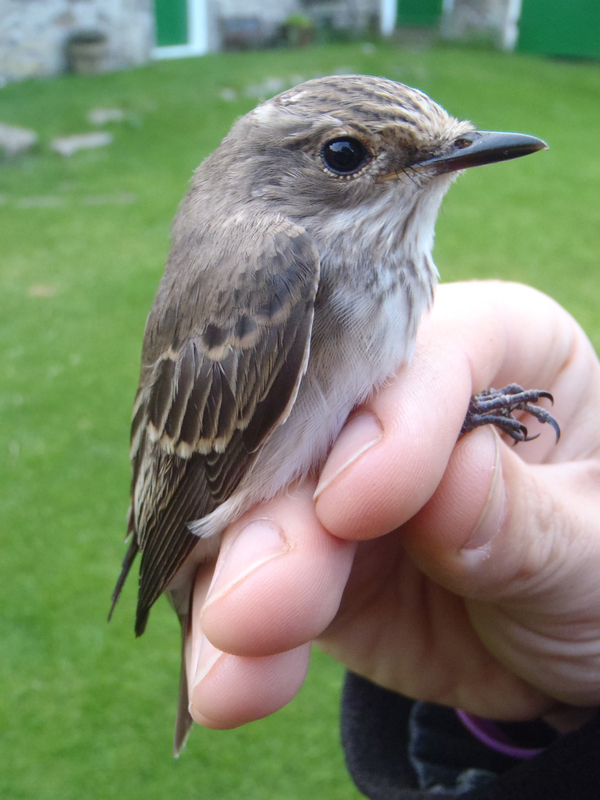 Amongst the blackcaps, goldcrest and chaffinch, a treat – the subtle beauty of a spotted flycatcher, one of five on the island at the time. By afternoon the sun was finally winning its battle with the clouds, spreading warm golden light on a beautiful little bunting that briefly perched at the top of a pine tree. 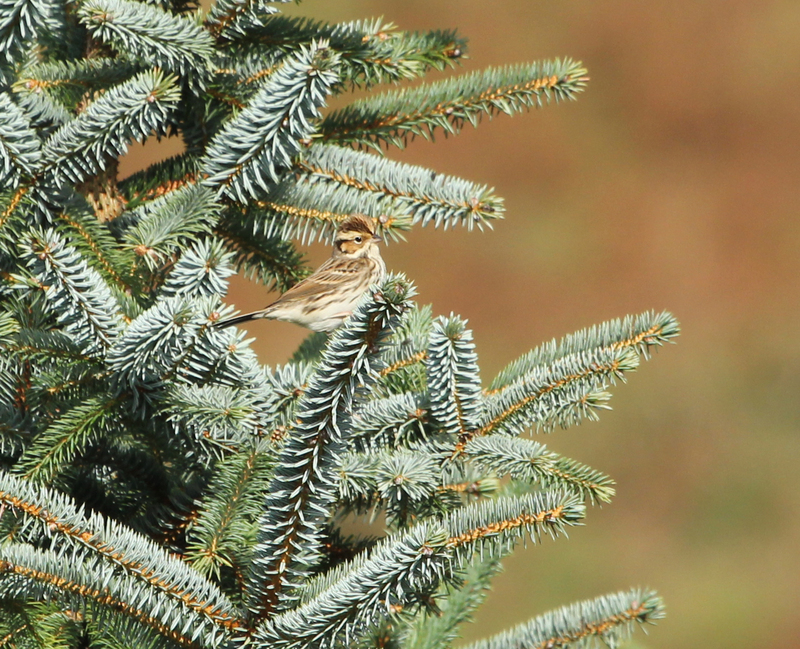 This special bird is a scarce visitor to the British Isles with on average 29 records reported each year. The sunny, windy conditions continued over the last few days of our stay. Goldcrest continued to fill our nets, whilst during our wanderings around the island we witnessed first hand the tussle and tumble of the natural world. 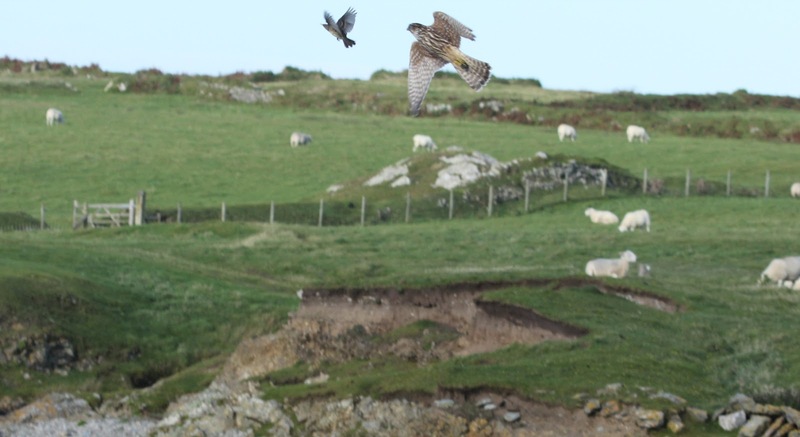 The peace of a feeding flock of rock pipits erupts as a merlin comes crashing through. The flock bursts into the air, the merlin in hot pursuit, twisting and turning in tight circles before disappearing over a ridge. A few minutes later and the rock pipit is hiding under the wheels of a tractor, the merlin perched on top perhaps cursing the one that got away. Time on the island seems more dictated by seasons than by clocks or calendars; the days merge into one continual flow of changing light and weather. As our week draws to an end, it is time to return to the hustle and bustle of mainland life, while the island and its inhabitants remain in their natural cocoon of this wild landscape. Have you heard about Morgan…?